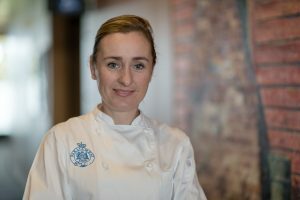 NSW Parliament Catering is led by celebrated Executive Chef, Vanessa Harcourt. Vanessa embraces the opportunity to prepare fresh, seasonal food from locally sourced and sustainable suppliers. Among the many local delicacies on her menus, you may find Central Coast figs and finger limes, Clarence River prawns and tasty Leppington burrata. Vanessa’s modern Australian cuisine is inspired by over 20 years’ experience. Supported by her talented culinary team, the exceptional quality dishes are curated to showcase a wide variety of premium produce sourced from local farmers. NSW Parliament recognises the importance of sourcing ethical and sustainably produced foods. Every effort is made to source local NSW produce from suppliers who conduct sustainable farming practices.